It is time to walk, talk and get new business. If you’re not using the right social media, you’re missing a huge opportunity. 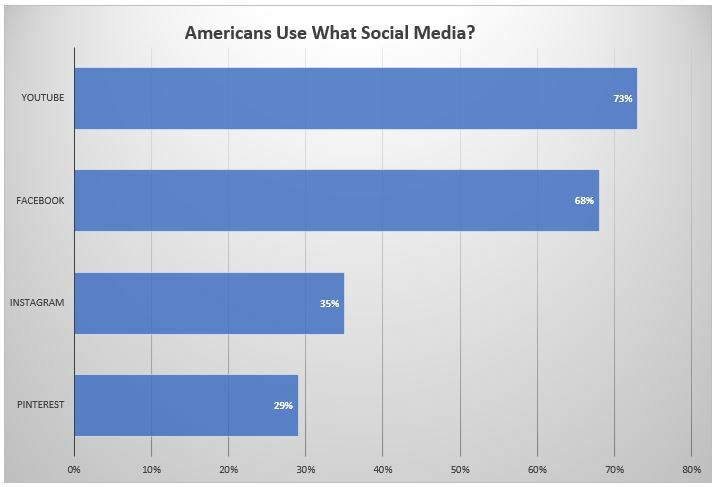 A recent study shows that roughly 3 out of 4 Americans use YouTube and 2 out of 3 use Facebook. If you are not on these two platforms, it is like marketing to your grandmother – but granny would have hired you anyway. Just so you know, the other platforms (Instagram, Pinterest, Snapchat, LinkedIn, Twitter and WhatsApp) are being used by only roughly a third to a fifth of all the people out there. Major Marketing Take Away: Video is dominating client outreach. You must be seen and heard. Simple and Cheap Solution: Don’t have the cash for a video production crew? Use your cell phone. Though big, fancy production is nice, a simple head shot (your head talking) lets you speak one-to-one to your potential client. It is like getting them in the office for a few seconds. Once you have the video, use it. Place it on social media and on your website. A recent study showed that video on the first page of your firm’s website strongly increases the amount of time potential clients stay on your site.